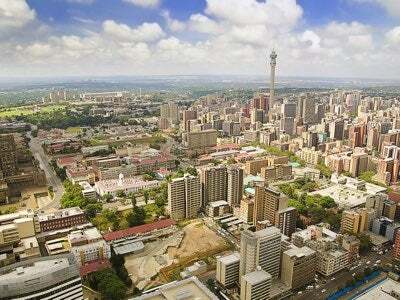 South Africa's national flag carrier airline is based at OR Tambo International Airport near the city of Johannesburg. The airline has existed since 1934, emerging out of the previously existing Union Airways that was purchase by the South African state. It is still government-owned to this day. South African Airways owns more than 50 aircraft, and utilises Airbus and Boeing planes for its fleet. The airline serves more than 40 destinations across each of the 6 inhabited continents, including Europe, the Americas, Oceania, Africa and Asia. 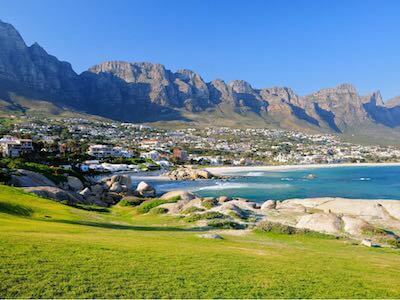 Some of its most popular routes are the South African Airways flights to Cape Town, London Heathrow, Frankfurt, Hong Kong, Accra, Windhoek, Lagos and Johannesburg. In 2006, it became the first African carrier to become a member of the Star Alliance. On top of its Star Alliance membership, it has codeshare agreements with a large number of other airlines, including Emirates, Jet Airways, Malaysia Airlines and Singapore Airlines. It also owns Mango, which operates low-cost domestic flights within South Africa. Passengers hoping to avoid airport check-in queues are able to check in online for their South African Airways flight. They can do this as early as 24 hours before the flight, up until 90 minutes prior to domestic flight or 2 hours prior to international flights. At the same time as they check in online, passengers can also choose a seat for their flight. If they do wish to check in for their flight at the airport, passengers can do so 2 hours before domestic flights, 3 hours before international flights and 4 hours before flights to America. The airline also offers self-service kiosks for passengers checking in at Cape Town, Johannesburg, Durban, Port Elizabeth, Frankfurt or Sao Paolo. Passengers in the Economy class section of a South African Airways flight are allowed 1 item of hand luggage with a maximum weight of up to 8 kg. Business class passengers can carry 2 items of hand luggage, each weighing up to 8 kg. The maximum hand luggage dimensions when traveling with the airline are 56 x 36 x 23 cm. Passengers in all classes are also allowed to take a small personal item such as a handbag or laptop on board their flight. If passengers exceed their allowance they will have to pay to check in their hand baggage. South African Airways has a range of different checked luggage allowances that are dependent on a passenger's ticket class and flight route. The airline's standard allowance is 1 item weighing up to 23 kg for Economy class passengers and 2 items weighing up to 32 kg each for Business class passengers, but passengers should check the allowances on their specific route before they fly. On all routes, the maximum size for checked luggage is a combined length, width and height of 158 cm. The airline will refuse to carry any items of luggage that weigh more than 32 kg. Heavier items will only be carried as cargo. There appears to be no liaison between sales/operating agents to the detriment of the passengers. The flight from LHR arrived at OT at 06.30. It took at least an hour to clear immigration then I collected my baggage and checked in for the Cape Town flight. When I arrived for the CT flight after walking for 20 mins the flight had closed my luggage taken off the flight. Despite explaining the delay at immigration I had to pay £250.00 extra to get to CT! On my return flight to JHB the flight to JHB was delayed and I had 45 min to get to the check in gate. No apologies from the airline!